Judit Deilinger has more than 25 years of professional experience in municipal management, economic development, decentralization, and education and has worked extensively in Europe, the Middle East, and Asia. Her experience in designing and delivering public administration-focused workshops and training for elected local government officials in policy making, communication, and other leadership skills has given her a reputation as a proficient trainer and facilitator. Currently, she leads ICMA International’s new initiatives, including the ICMA China Center in Beijing, and directs CityLinks, ICMA’s flagship partnership program. 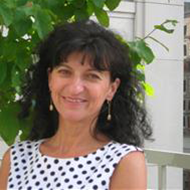 Among her previous positions are Deputy Chief of Party for ICMA’s Public Administration Project in Hungary, ICMA’s regional representative for Europe, and Director of International Relations for the Partnership of Hungarian Local Government Associations. A native speaker of Hungarian, Judit is fluent in English and speaks conversational Russian. She holds an M.A. in Economics from the University of Economics in Budapest, Hungary, and an M.A. in Education from the Kossuth Lajos University in Debrecen, Hungary.